The wedding party dance and have a good time during the Ole Time Wedding in Moriah. They showed off some steps such as the brush back and the jig. 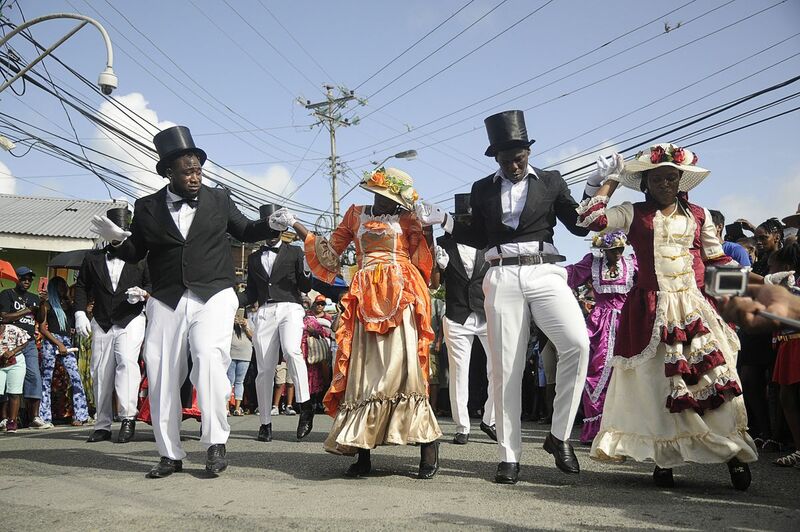 The Ole Time Wedding is one of several community events at the Tobago Heritage Festival. 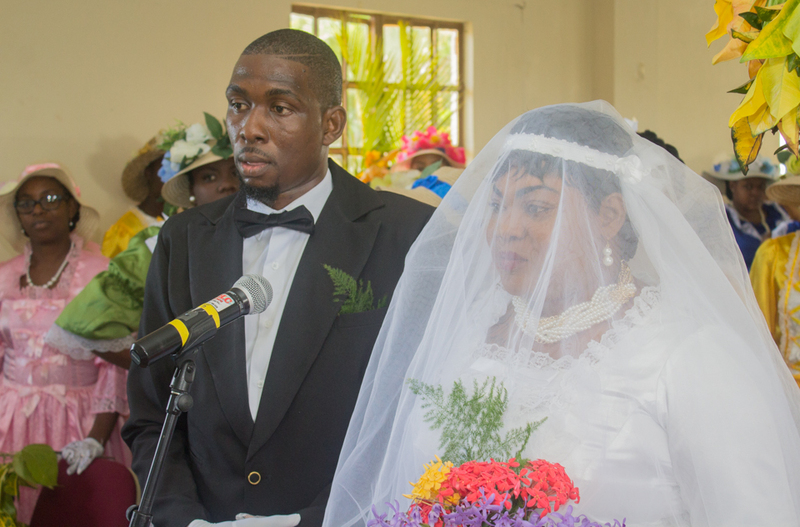 The bride and groom during their ceremony at the Mt Moriah Moravian Church. 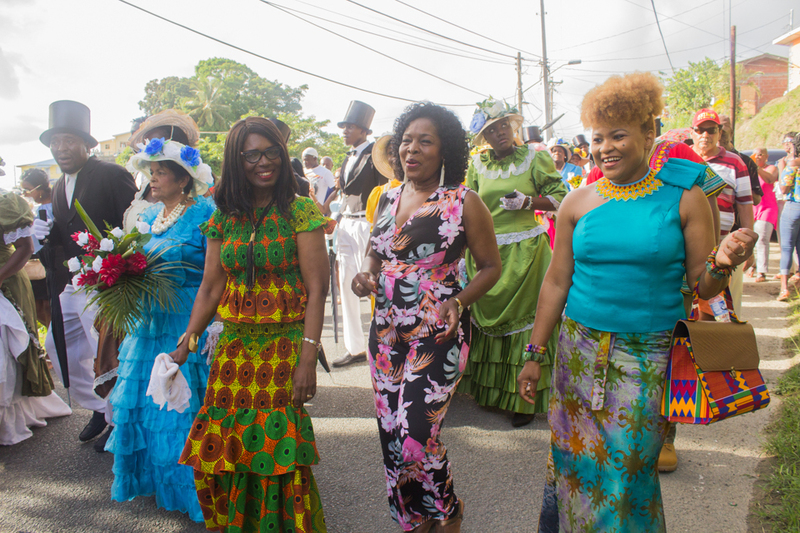 Catherine Anthony-Charles, wife of the Chief Secretary Kelvin Charles, Secretary of Community Development, Enterprise Development and Labour Marslyn Melville-Jack, and Minister of Community Development, Culture and the Arts Dr. Nyan Elizabeth Gadsby Dolly join the wedding procession. 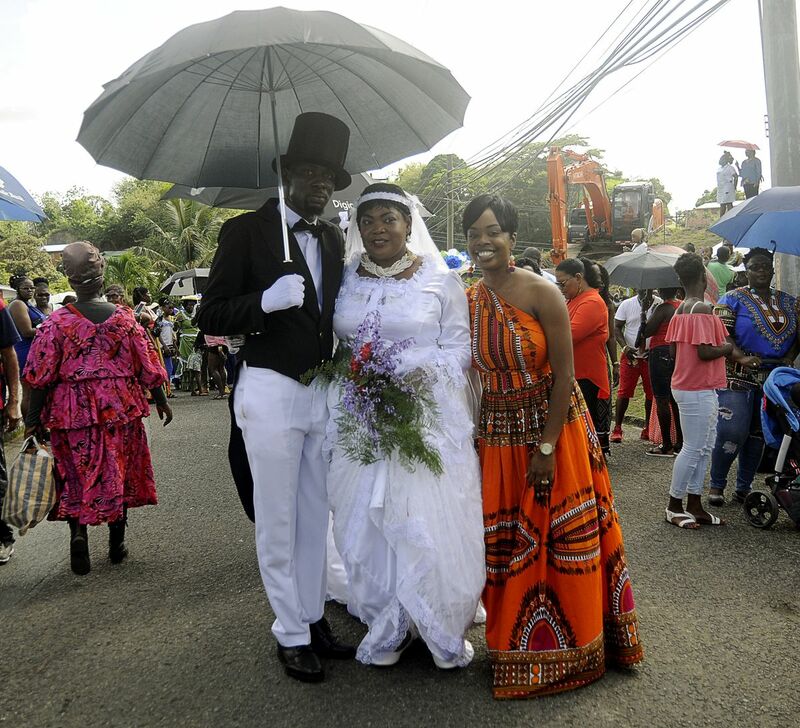 Secretary of Tourism, Culture and Transportation Nadine Stewart-Phillips, right, takes a photo with the bride and groom. They were the centre of attention at the Moriah Tobago Ole Time Wedding Ceremony. THA Chief Secretary Kelvin Charles dances with a member of the wedding procession. It was all smiles on the wedding day as people attended the Ole Time Wedding on Saturday (July 14, 2018). 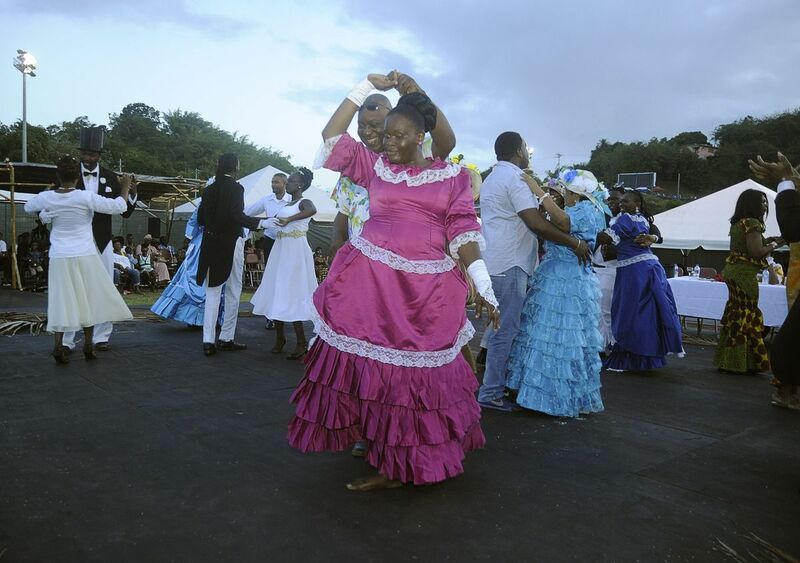 Moriah villagers and visitors came out to be a part of the Moriah Tobago Ole Time Wedding. 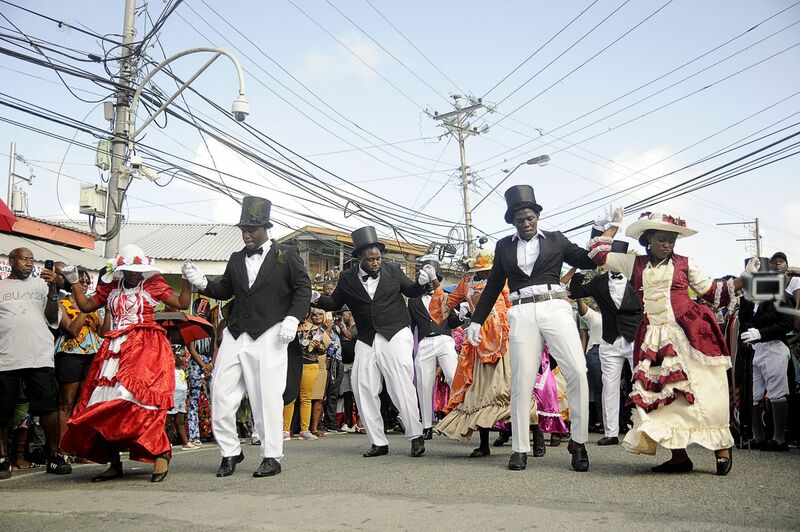 The colourfully dressed wedding party walked through the streets, accompanied by the music of a Tambrin band.